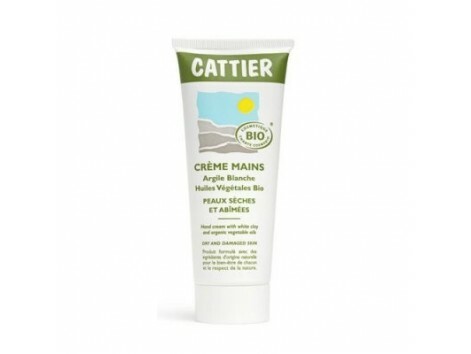 Hand Cream 75ml with white clay. Cattier. For dry skin and Manchas Overview: Hydrates, nourishes and protects hands dry, damaged and cut. 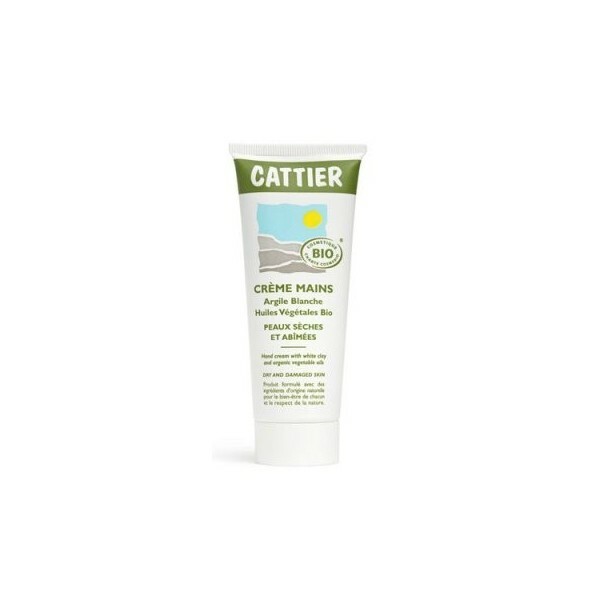 Its formula enriched with white clay calm, protects skin and helps to clarify the spots that appear on the back of the hand. It also contains oil to nuts (Brazil nuts) that moisturizes and softens skin deep. A combination of essential oils, perfumes delicately hand, while a cocktail of organic vegetable oils (jojoba, sunflower, and macadamia Onagra) to help effectively combat skin disorders frequently suffer from the hands. Thanks to the oils selected for their nourishing and moisturizing properties, and its non-greasy texture, the cream penetrates quickly leaving the skin soft and smooth. Endorsement: Ecocert-BIO Components: White clay, nuts for oil, organic vegetable oils (jojoba, sunflower, and macadamia rapuntica), lichen extract. * cbc = controlled biological cultivation. Composition INCI: Aqua, Centaurea cyanus * Extract, Cetaryl Alcohol, Cetearyl glucoside, Buxus chinensis *, Helianthus Anuus *, Macadamia alternifolia *, Stearic Acid, Glycerin, Kaolin, Bertholetia Excelsa, Oenothera biennis * Usnea Barbata, Mentha spicata, Citrus sinensis, Orange Dulcis , Citrus Tericula Blanco, Citrus Paradisi, Citrus limonum * * Lavendula Anfustifolia, Citric Acid, Tocopherol. * cbc = controlled biological cultivation. Tips: Apply a small amount of cream on your hands masajeándola until completely absorbed. Use as many times as necessary on their hands clean and dry completely.